Properties in Bodegas Chandon average 4.1 out of 5 stars. Villa Carrara - Mendoza- Exclusive Location. Property 7: Villa Carrara - Mendoza- Exclusive Location. Andes House 3bdr/3bthr. BEST LOCATION! Property 11: Andes House 3bdr/3bthr. BEST LOCATION! Cabin Wenelcklén STD 2 , in the "Heart of Los Andes"
Property 13: Cabin Wenelcklén STD 2 , in the "Heart of Los Andes"
I COME TO MENDOZA !! I COME TO WELCOME HOME! Property 30: I COME TO MENDOZA !! I COME TO WELCOME HOME! Cabin on hill, facing the Mendoza River. Property 36: Cabin on hill, facing the Mendoza River. Enjoy Mendoza Leisure Time in Chacras de Coria. 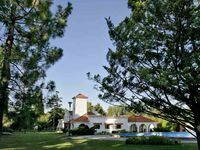 Property 44: Enjoy Mendoza Leisure Time in Chacras de Coria. We had a great stay at the Villa Viamonte. The property was well maintained and the caretakers were excellent. 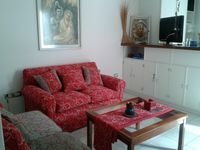 I&rsquo;d recommend this property to anyone seeking a relaxing enjoyable stay in the Mendoza area. Vivian was waiting for us at 1 in the morning! With a perfect bottle of Malbec, it doesn&rsquo;t get much better than that. Basics were in the kitchen but we realised on the first morning that we needed a few explanations such as how to turn on the gaz, toast breakfast. We never found the plug for the sink. Basically trivia. I wish my bed at home were as comfortable as this one. Excellent lighting which is rare however no outside view. Location was excellent. Dining area was uncomfortable, we constantly slipped off the stools. All in all worth it, thank you Vivian.